Efforts to strengthen the country’s tattered mental health system, and help millions of Americans suffering from mental illness, are getting a big boost this week, thanks to a massive health care package moving through Congress. Key provisions from a mental health bill approved last summer by the House of Representatives have been folded into the $6.3 billion 21st Century Cures Act, which aims to speed up drug development and increase medical research. The act also would provide $1 billion in the next two years for prevention and treatment of opioid addiction. Egypt reported an outbreak of the highly contagious H5N8 bird flu virus in two wild birds in the northern part of the country, the World Organisation for Animal Health (OIE) said on Wednesday, citing a report from the Egyptian farm ministry. Two common coots were found dead in Damietta during routine epidemiological surveillance activity, the Egyptian authorities said in the report. MONDAY, Nov. 28, 2016 (HealthDay News) — Protein fragments that form plaques in the brains of Alzheimer’s patients might also stiffen their heart muscle and increase their risk of heart failure, a new study reports. The protein fragments are called amyloid beta. Tests of heart tissue samples revealed that the hearts of Alzheimer’s patients had increased levels of amyloid beta, the study showed. Are you caring for an aged, seriously ill or disabled family member? If so, you’re one of about 44 million Americans who care for loved ones with a chronic illness, disability, or frailty. Family caregivers provide an average of 20 hours of care per week – when you’re the caregiver, that can make it hard for you to care for yourself. Make sure your loved one’s Medicare coverage still meets their needs. Medicare Open Enrollment is from now until December 7, and it’s important to take a few minutes to review coverage and pick a plan that works for your loved one. “To do” lists are very helpful during this hectic time of year. If something important isn’t written down, it’s easy to forget. If you still haven’t crossed off “Compare Medicare coverage” from your “to do” list, time is running out! Medicare Open Enrollment ends next week on December 7. To help you sort through your choices, try using the Medicare Plan Finder. You can review the plan options in your area and decide the best mix of benefits and costs that meets your needs and budget. 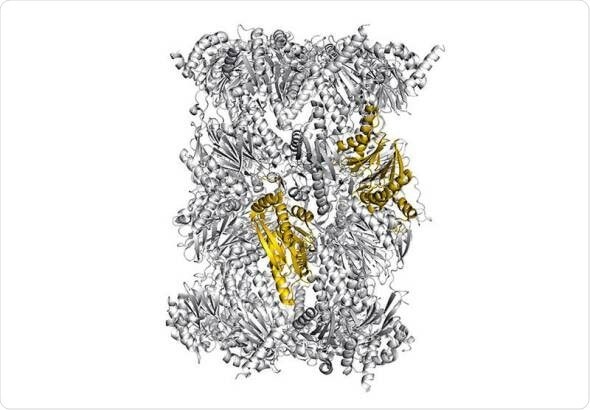 The immunoproteasome dismantles proteins and the resulting fragments are displayed on the surface of cells. This helps the immune system to recognize abnormal cells. However, in chronic inflammations and autoimmune diseases this “information channel” is overactive. Now researchers at the Technical University of Munich (TUM) have determined the molecular mechanisms of inhibitors that can selectively thwart the human immunoproteasome – important insights for the targeted development of new drugs. Price, a Georgia Republican who currently chairs the House Budget Committee, was among the first to suggest that not just the ACA but also Medicare are on the near-term agenda for newly empowered Republicans.